Meander down the Niger River, traverse the slopes of Mount Bintumani, feel the sand beneath your toes on Bojo Beach or float in the pink water of Lake Retba. An atmospheric and evocative musical journey through West Africa! Tell us a little bit about yourself: where were you born, where did you grow up and what career did you dream of having? Well I was born in the north-west province, in a small town called Saulspoort. From there I grew up in Mahikeng. In high school I was not really sure what I wanted to do once done with matric. When I got a varsity I did a bridging course which highlighted the aspects of marketing as a career and from there I pursued my marketing degree. What do you do from Monday to Friday, 8 to 5pm (or thereabouts)? I’d have to say it’s mostly music. If I’m not researching sound manipulation techniques as well as the effects of frequency on the body in its auric field then I’m probably looking into new production techniques that I can I add to my arsenal. I also produce music for other artists as well as my own production library. What takes up the rest of your time? I’d have to say looking into new ways of staying afloat in the music industry is what preoccupies most of my time. When did the desire to make music first grab you? The desire to 1st make music came in high school where I first learnt to DJ. It was great to play other people’s music but I always wondered what it would be like to actually make a song myself. What gear do you use to produce music? Currently I use Reason to build concepts as well as the basic mixing all my projects and then Cubase to do all the final mixing and mastering. I have a Rhode mic, a UAD-2 satellite mastering unit, Korg MIDI keyboard, a Lexicon Omega soundcard, KRK rocket 8 monitors and a Yamaha MG166cx mixing console. That makes up the core of my production gear. Which artists or composers have influenced you over the years? 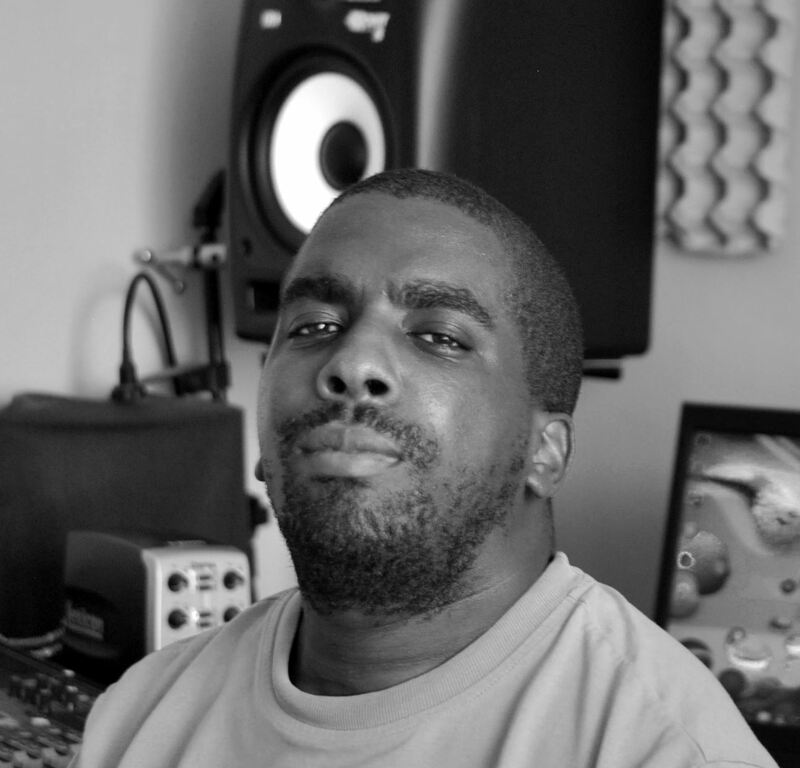 I’d have to say Charles Webster in terms of the house genre and J Dilla in terms of the hip-hop genre have greatly influenced the way I approach my production process as a whole. Rather than trying to create a specific sound according to the norm I incorporate a fusion of the different aspects of multiple genres in order to achieve a feeling and mood that’s unique to just me. What are some of the challenges for local composers, artists and musicians and in South Africa? I’d have to say the biggest challenge is that the industry’s heavily fragmented. Meaning that a composer or artist cannot rely on the conventional avenues of old like CD sales with the advent of digital sales and streaming that have cut earnings greatly for the up-and-coming artist. Even radio play is not guaranteed with a great song as trends dictate what makes it to play listing or not. Now one has to find other ways of adding value to their catalogue by incorporating music into ad and brand campaigns through sync deals and corporate partnerships. Well that’s just one way as you will still need to figure out a couple more. How did you find out about the production/library music industry? 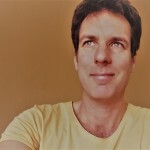 I initially started composing music on a fellow producer’s record label. He was doing his publishing through another company. The publishing company that was doing his admin inquired as to whether I’d be keen on doing production music and not just commercial. I was unfamiliar with the term production music so I began to do some research and I realized that it was actually a great stream to get into. I’ve been at it since 2013 and haven’t looked back since. What would you do if you had to stop working in the sound/music industry? If I had to stop working in the music industry I’d probably be working in advertising or a marketing department for a company I believe in. Well only if I had to. The STARS are shining on Mama Dance ! The music industry is changing fast, and as artists have seen their CD sales slashed and are still waiting for streaming and download income to catch up, other business models have stepped up to provide much needed income to composers and musicians worldwide. Due to the explosion of media, especially online content, but also TV, radio, apps, podcasts and games, a huge demand for “ready to go” music has been created. And because the aim is to maximise eye balls or ears on the content, the creators are reluctant to infringe copyright legislation by using unlicensed music. The swathe of digital monitoring technologies that constantly reports all music broadcast and streamed online also helps copyright owners identify illegal music usage. Numerous high-quality music libraries are now supplying a wide variety of production ready music to content producers, final mix engineers, ad agencies, corporate communications companies, podcasters and thousands of amateur YouTubers! One such library is The Mama Dance Music Library. Started in 2002, 16 years and 170 albums later, the library is booming in South Africa, Africa and Internationally. Much of the library’s success is due to its niche as an African production music library, which covers genres from Boeremusiek to Kwaito to Bongo Flava and Maskandi. Its focus is both on traditional sounds as well as the latest urban and EDM flavours from Gqom to Hip Hop, Trap and House. 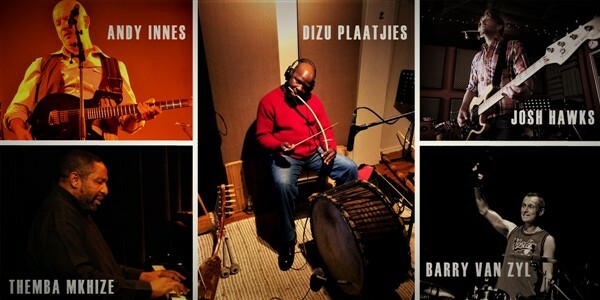 With a reputation for releasing high quality albums, the library has attracted renowned composers such as Dizu Plaatjies, long-time Johnny Clegg collaborators Andy Innes and Barry Van Zyl, Freshly Ground’s Josh Hawks, Bright Blue’s Tom Fox, Themba Mkhize and Steve Newman. What made you decide to compose for production music libraries? Andy: Production music is a last bastion in many respects. The composer has more freedom to create than they do in other spaces in the industry. Production music is also a space that is still profitable in the long term if you can find enough avenues to keep pushing out product, providing the quality of your output is top notch. 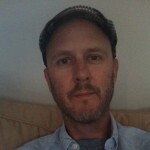 Josh: The decision to compose for libraries is a natural progression of a composer’s life. We’re content providers and the libraries are becoming more and more prevalent and relevant. If you are a composer and have a catalogue of ideas knocking around it’s a great avenue to pursue! How has your experience been working with Mama Dance? Andy: Mama Dance is a professional and hard-working outfit who look after their writers. I’m really glad we’ve managed to build a good relationship. Josh: Experience with Mama Dance was easy going and collaborative. We’d throw some ideas their way and with their experience and knowledge of the landscape, they would advise as to what was working and how to shape the material. Everything took shape quite quickly; a painless collaboration. These great artists music can be easily auditioned and downloaded at www.mamadance.com using simple music search functions. And if clients prefer searches to be done for them, this is where the friendly Mama Dance team is on top of their game – they know and love music! Their free, personalised music searches are fast and on point. After receiving a music brief, the team will send the client a playlist of track selections within an hour. This type of service, together with compelling music from big name composers, keeps clients coming back for more and ensures that Mama Dance remains South Africa’s favourite music library. The simplified 2018 music rate card can be downloaded from their website and new clients will be pleasantly surprised at how little it costs to license fresh and innovative music produced by big stars! Mama Dance is a CAPASSO affiliated library and can be used under the blanket license agreements with SABC, ETV and many Multichoice (DSTV) channels. Mama Dance ! Music Library track used in latest Samsung ads! A fun-filled Funk-themed album. Some tracks are straight happy, high energy funk and others blend with African styles like Gospel and Maskandi to create a very unique fusion that you won’t find on any other library! Either way it is sure to make you FEEL GOOD! The album that originally made James Brown feel good! Okay not really, but it is still a great selection of upbeat folk tracks to follow on from the extremely popular first album. Some Ukes, Banjos, Marimbas and Guitars to make you feel like a room without a roof! Jam-packed with happy catchy folk rock tunes that will make even the grumpiest grinch feel good!!! Prolific Mama Dance composer and melodic genius, Matt Gair, is back with his best album yet! An ad agency and positive Lifestyle TV producer’s dream album. Another superb album from popular composer Matthew Gair! It’s filled to the brim with foot-tapping, head-bobbing, smile-on-your-dial, acoustic African tracks played on guitar, marimba and ukulele. These catchy tunes will definitely bring some light-hearted fun to your production. For fans of the very successful Easy Folk Pickings series. Extraordinarily beautiful acoustic melodies played on Guitar, Ukulele, Mbira and Marimba covering moods from light-hearted and quirky to peaceful and heart-warming. A ‘Must-Listen’ album! A beautiful selection of lush African vocal orientated tracks with positive, uplifting, warm and inspiring moods. Energy levels are gentle right through to fast tempo and high energy. Compelling West African Afro Pop for Corporate, Reality and TV programming. Your soundtrack to the African summer! These feel good, warm and easy-going electro-folk tracks are the ideal accompaniment for a truly magical summer. Tailor-made for lifestyle programming, trendy productions, wildlife shows and anything else that needs a shot of vitamin D.
This album is truly beautiful, often seductive and often not shy to put on its dancing shoes! Styles vary from 70’s style melancholic Cape Verdean, to pacey Angolan Semba and romantic Kizomba. A very memorable album that you’ll probably download to play at home! 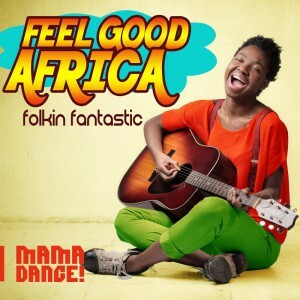 New Library Music Release – Feel Good Africa – Folkin’ Fantastic! 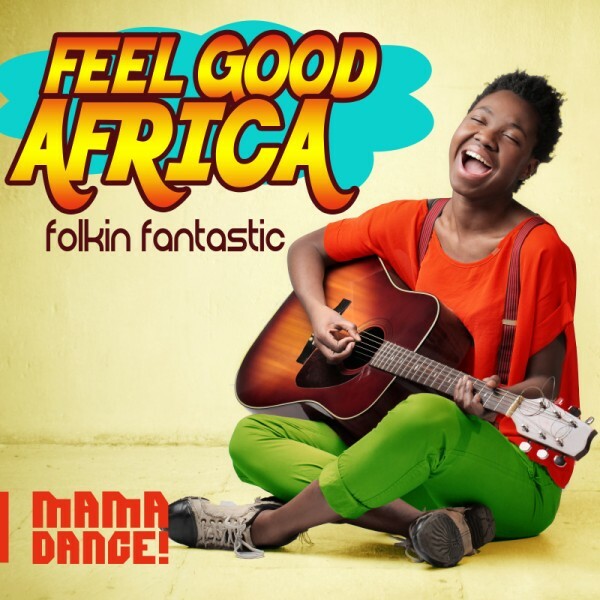 Happy Go Lucky, Cute but Tender, Warm and Contented, Chirpy and Fun are all adjectives that spring to mind with this crossover album that combines western acoustic pop and folk with African elements. Road trip to the Wild Coast anyone?